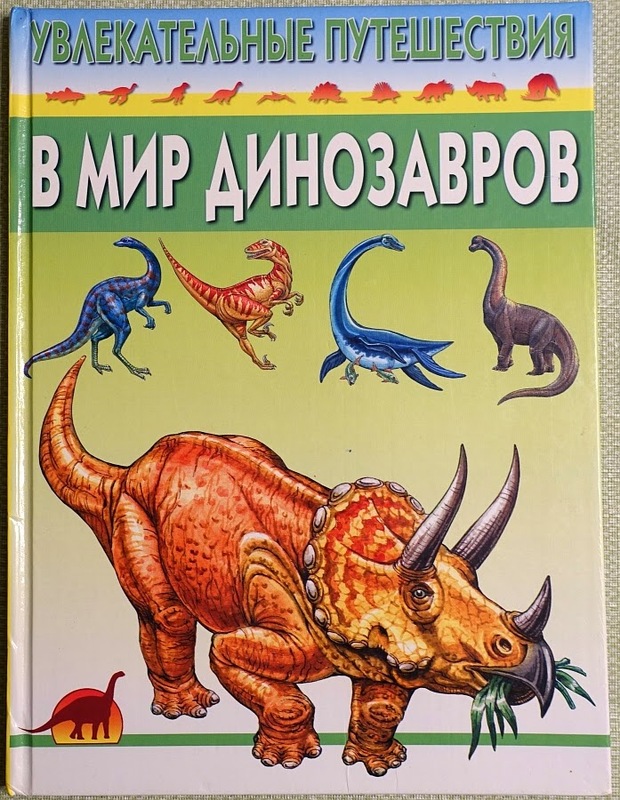 Following last week's 'Russian interlude', palaeoartist and (I'm very happy to say) LITC reader Vladimir Nikolov has offered up another slice of Russian-language non-quite-vintage dinosaur art. 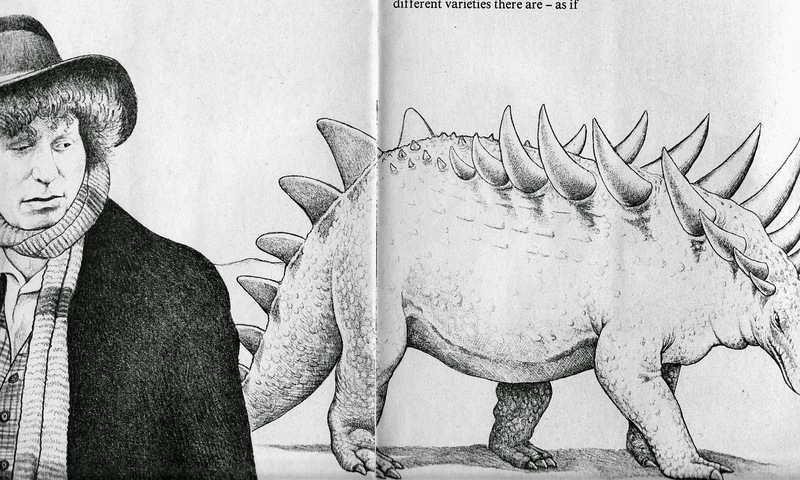 Behold, one and all, the glorious Atlas of Dinosaurs and other Fossil Animals. It's a far more recent book than you might think...or hope. I do hope this letter finds you well. On a recent field trip to the badlands of somewhere-or-other, one of my students mentioned a glorious 1990s dinosaur book filled with brightly coloured, haphazardly proportioned and occasionally obviously plagiarised dinosaurs, and I had to think of you. Please find a series of photographs enclosed. Or he might have just sent me an e-mail. 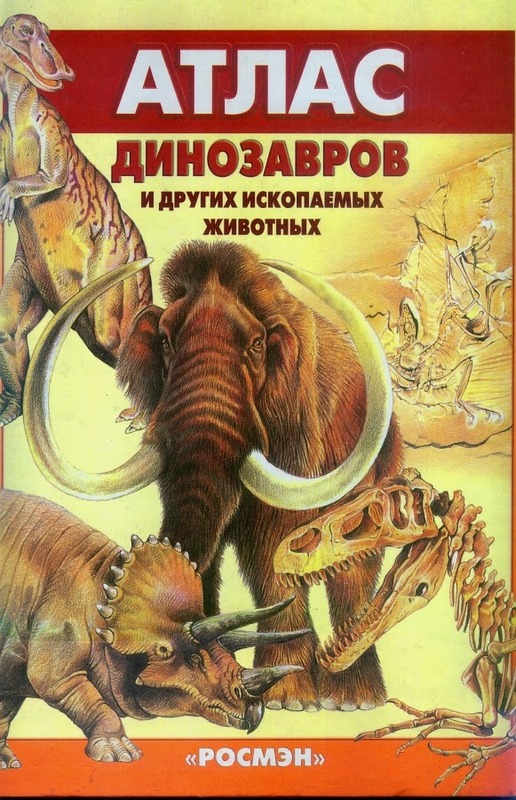 But check it out - Russian vintageish dinosaur art! Hurrah. So it turns out that Doctor Who is quite popular - who'da thought? 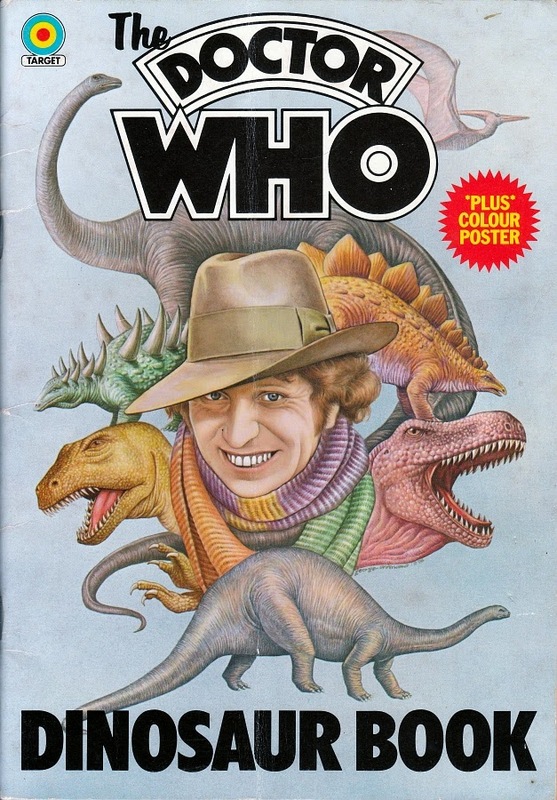 As such, there was much demand for a second instalment of The Doctor Who Dinosaur Book (1976), featuring everyone's favourite Doctor* - the Fourth Doctor, played by Tom Baker - wandering around and posing like a prat among dinosaur art faithfully traced from the pages of earlier books. I do hope you enjoy. 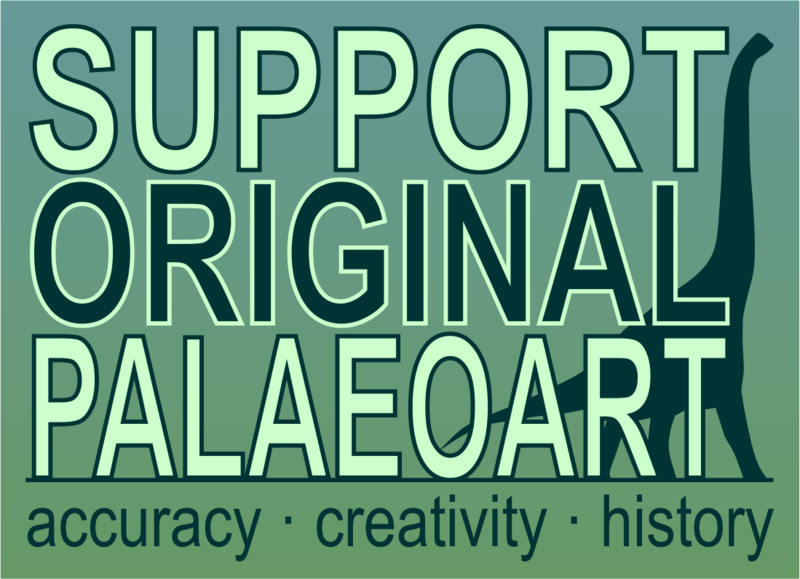 It's a very good day for those interested in palaeoart - its history, trends over time, the current consensus on restoring certain animals, and where it might be going. Firstly, there's Mark Witton's article in Palaeontology Online, in addition to one on the 'new' Spinosaurus on his own blog. Secondly, Darren Naish's latest blog post is also a look at the changing appearance of dinosaurs in art (what, again?). Here at LITC, we like to think we do our bit in aiding public understanding of the history of palaeoart; in particular, how certain trends are adopted by illustrators perhaps less accustomed to drawing dinosaurs, frequently resulting in grievous errors being repeated ad nauseam. The best palaeoartists will often find that their very particular take on an animal will take on a life of its own, appearing all over the bleedin' shop until it becomes the de facto 'genuine' restoration. This week's book is an exemplar of these tendencies in palaeoart. It also has Tom Baker in it. "You have a woman's bottom, my lady!"